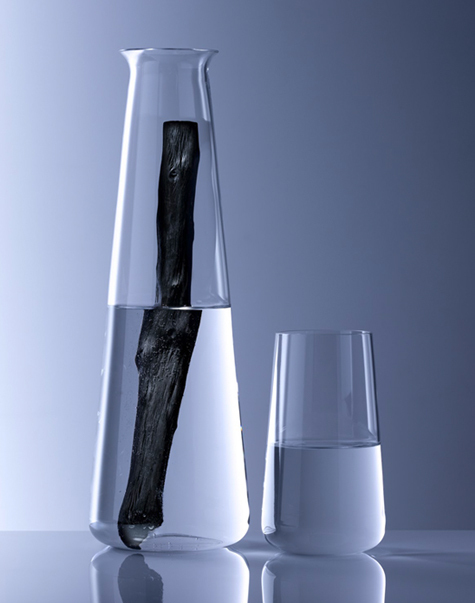 Kishu Binchotan is a special activated carbon from Japanese oak. Through the combination of activated carbon and a unique pore structure Binchotan cleans the water of chlorine, pesticides, herbicides and solvents such as benzene, and it also ionizes the water. I never thought water purification could be so beautiful!